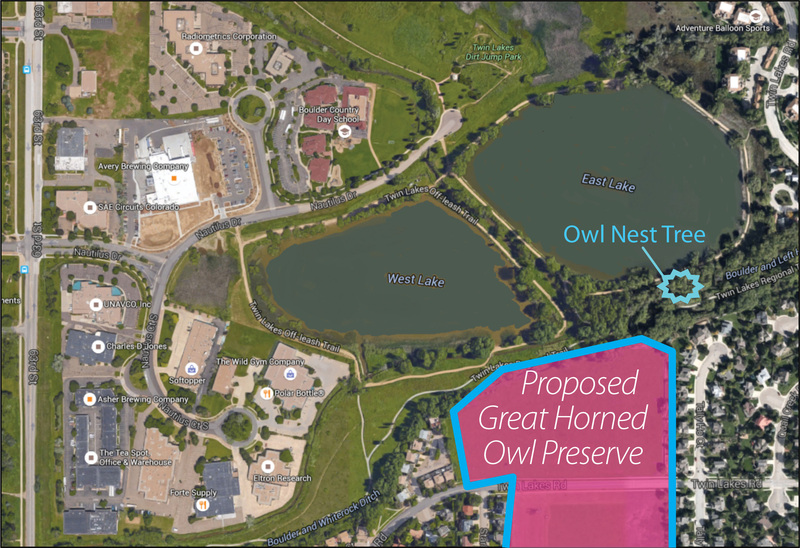 Twin Lakes Owl Open Space – Let's create a great future for people and owls! Let's create a great future for people and owls! Watch the Premiere of “Home of the Owls”! 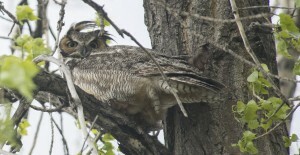 • Each spring at Twin Lakes in North Boulder, east of 63rd, a family of Great Horned owls nest in a hollow tree. For decades, thousands of people have come to see to see the newly hatched baby owls emerge from their nest. Mother and father owl are never far away. 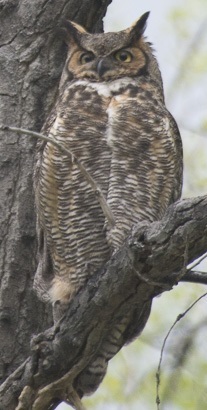 It’s thrilling to see tremendous owl wingspans flying up from the meadow behind their nesting tree with a delicious mouse or other meal for the young owlets. However this much loved owl family is terribly threatened. 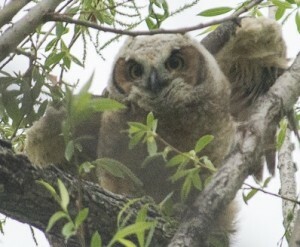 Will the Owl Hunting Meadow at the Greater Twin Lakes Open Space be protected as an Owl Preserve or be bulldozed and become a high density housing development? A wonderful and nurturing place for owls and people, the new 20 acre preserve within a Greater Twin Lakes Open Space will feature interpretive signs with beautiful pictures explaining the owl life cycle and importance of the hunting meadow. 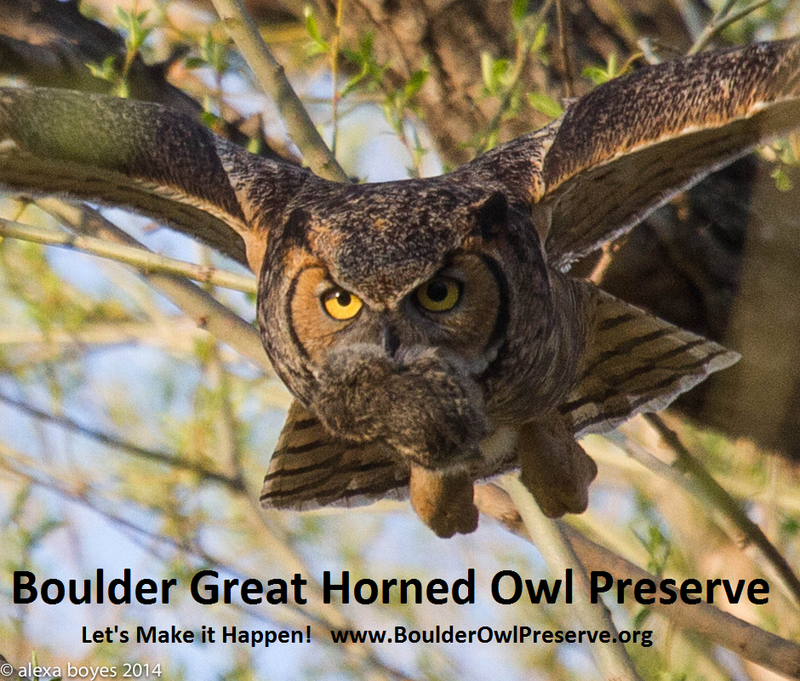 Please use the Facebook/email share button on the left of the screen to let your friends know about the proposed Great Horned Owl Preserve. Thank you for creating a great future for Owls and People!